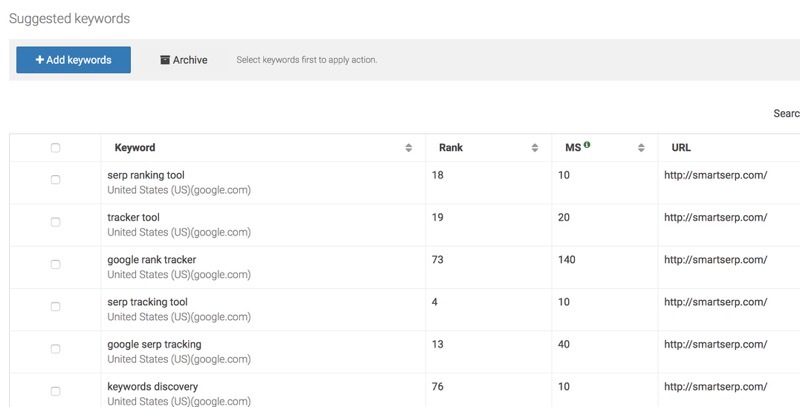 Fetching rankings for your keyword. This might take 20 seconds to fetch the results. Discover the keywords your website ranks for & track them with our cloud based service with daily ranking updates. Start a 14 day free trial. Even though this tool is free, there is a daily usage restriction of 10 rank check requests per IP. The results will be available for 2 weeks and will be erased from the system anytime after that. Want to discover the keywords your website is already ranking for? SmartSERP finds all the keywords your website is ranking for and tracks them on daily basis.